Alopecia Areata (AA) is an autoimmune disease that can cause hair loss in every part of the skin. Both men and women suffer from this disease which creates a patchy baldness appearance in areas where there is a lack of hair. The patches are normally round in shape and are about the size of a coin. AA is what is known as an autoimmune disease. What does that mean? Your immune system makes antibodies and white blood cells to protect against bacteria and viruses. The immune system perceives the bacteria and viruses to be foreign objects. Having an autoimmune disease means your immune system mistakes parts of the body as foreign. In AA, your white blood cells gather around your hair follicles where they are seen as foreign. This can cause the hair to fall out and create the bald patches. The good news with Alopecia Areata is the hair follicles affected by the condition are capable of producing normal hair growth again if and when the autoimmune disease subsides. No treatment at all – Alopecia Areata is a self-limiting condition and its effects are often reversed without the need for treatments. Steroid Injections – There are times when steroid injections are necessary to treat lesions that are more resistant or to accelerate the recovery. Topical Steroids and Minoxidil – Solutions and creams rubbed on the scalp have been shown to promote the regrowth of hair in some patients. Can I Have a Hair Transplant for AA Treatment? AA can occasionally expand and involve a large area or the entire scalp. 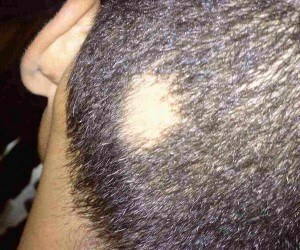 This condition is called Alopecia Capitis. Although most people recover completely from AA with full hair growth, occasionally hair loss is permanent and a balding patch can remain. As long as the active disease is present, a hair transplant is not advisable. If performed, the patient may lose the transplanted hair with the same mechanism that caused the original hair loss. When the disease is no longer active, and following months to years of inactivity, some patients may consider a hair transplant. A scalp biopsy is used to document the inactivity of the condition. 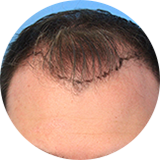 This is followed by a test hair transplant to implant a small number of hair grafts into the balding area. If the test hair transplant is successful, you can proceed with the final hair transplantation.